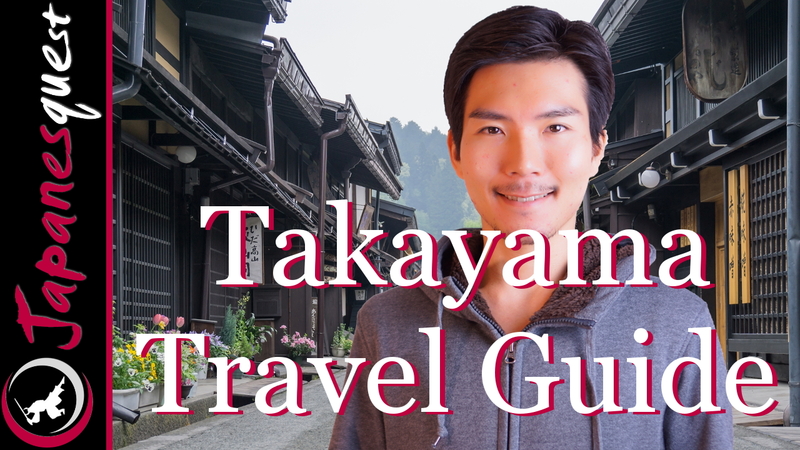 Watch TAKAYAMA Travel Guide on YouTube! Because why not! 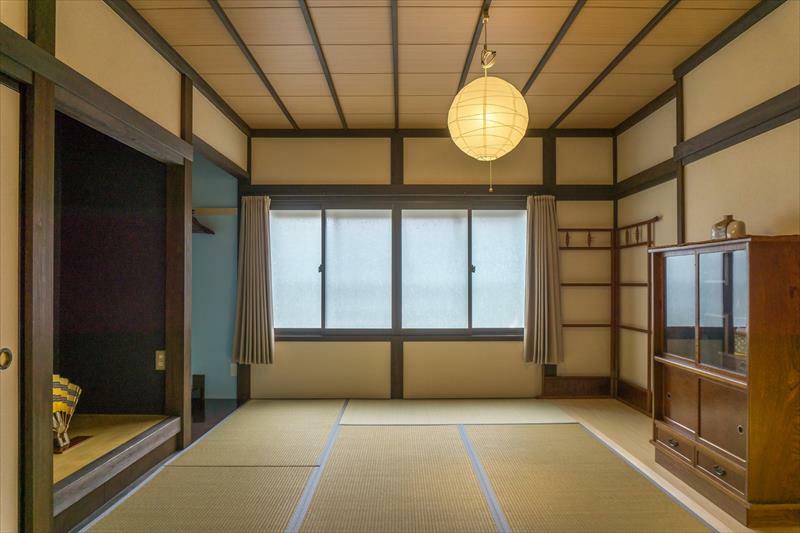 If you are coming to Takayama, this article will help you have the best experience in the city! 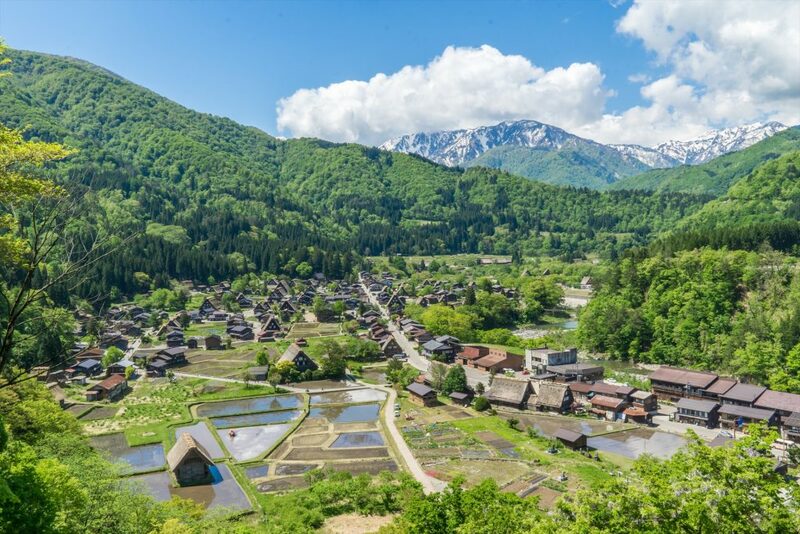 Takayama is a rural city located in the Hida region of Gifu prefecture. 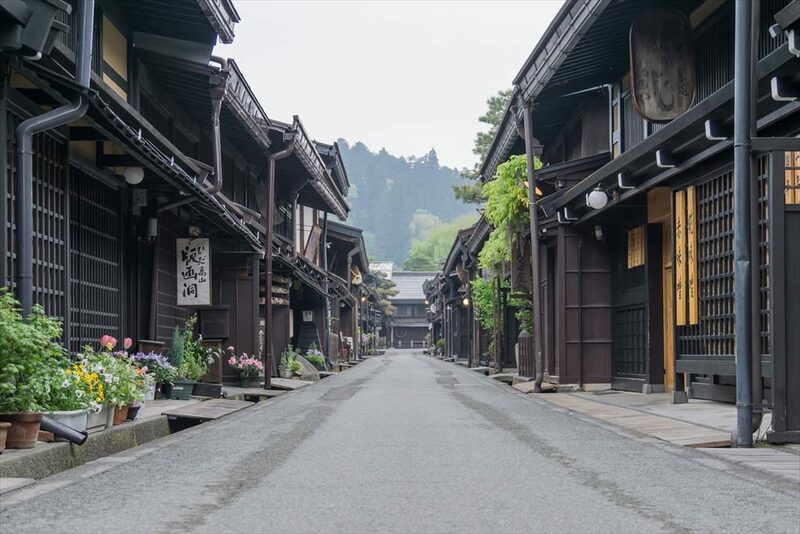 Takayama city still preserves the best traditional atmosphere that reminds us of the old time japan. 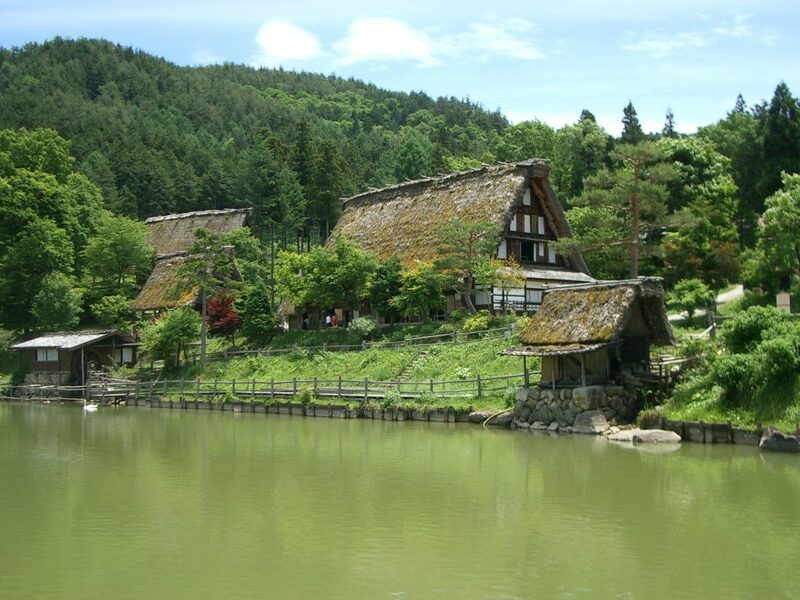 Yet, unlike Kyoto, Takayama still remains undiscovered by most of the tourists. Here is the average yearly temperature of Takayama. 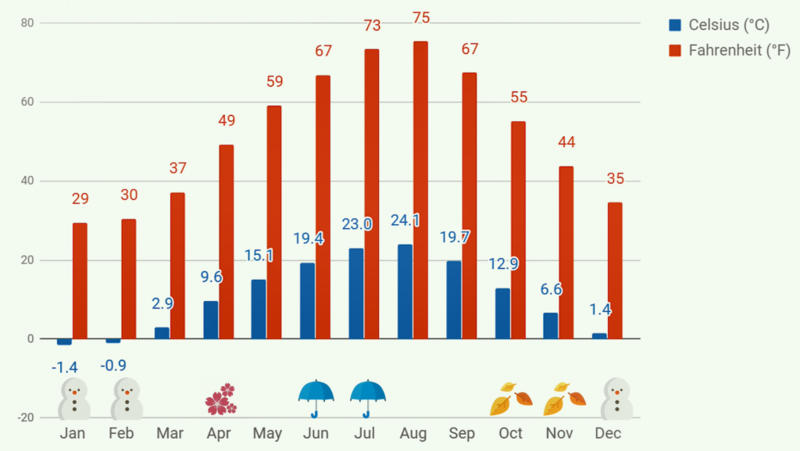 The snow season is from late December to February. The rainy season is from middle June to middle July. Cherry Blossoms are from Middle April to Late April. Autumn Foliage is from Middle October to early November. Every season has its perks. But I would not recommend you to come during these periods. New Year’s Holiday: Around Dec 29th – Jan 3rd. Because the first two are national holidays, so everything will be crowded and expensive for not any beneficial reason for overseas travelers. And the New year’s Holiday in Japan is very low key. No fireworks or anything.Shops, restaurants, and attractions tend to be closed. Yet, hotels are somehow very expensive. Basically, you have two options. the bus or the train. If you don’t have the JR pass or JR company related passes, the bus is your best option. All the buses are run by Nouhi Bus company and its association. 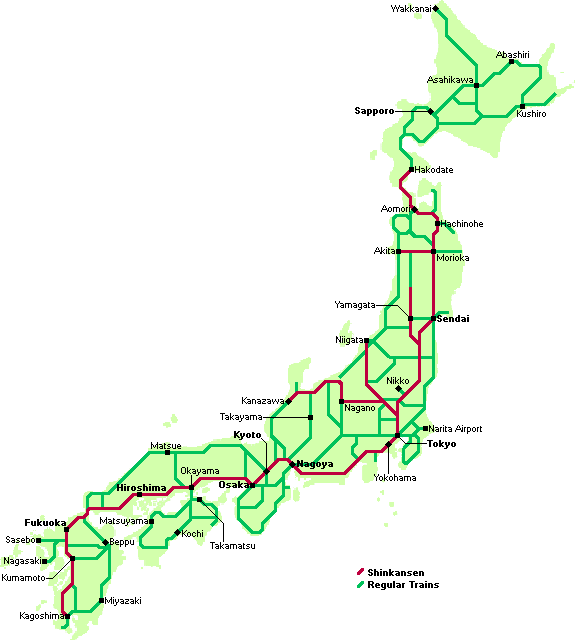 They connect Takayama and other major cities as shown. If you have the JR pass or the JR related passes, you can use it for the train to Takayama. From Tokyo, Osaka, Kyoto, first, you come to Nagoya by Shinkansen and then change to WIDE VIEW HIDA Express to Takayama. 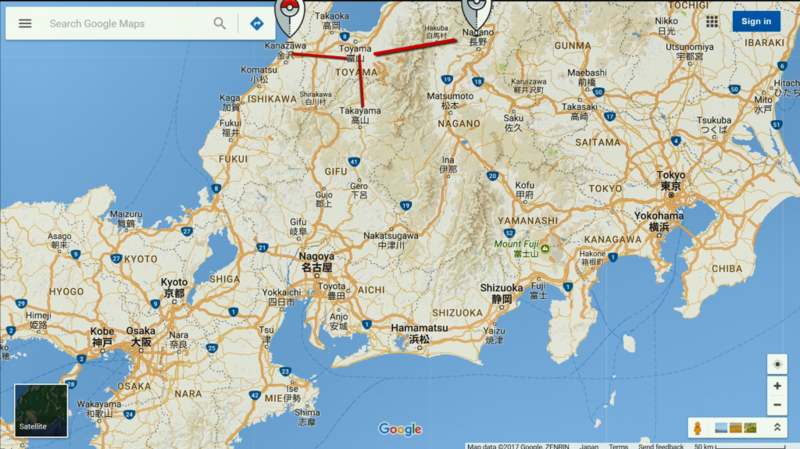 From Kanazawa and Nagano, you come to Toyama by Shinkansen, and then WIDE VIEW HIDA Express to Takayama. The website Hyperdia is a great way to search your train route. 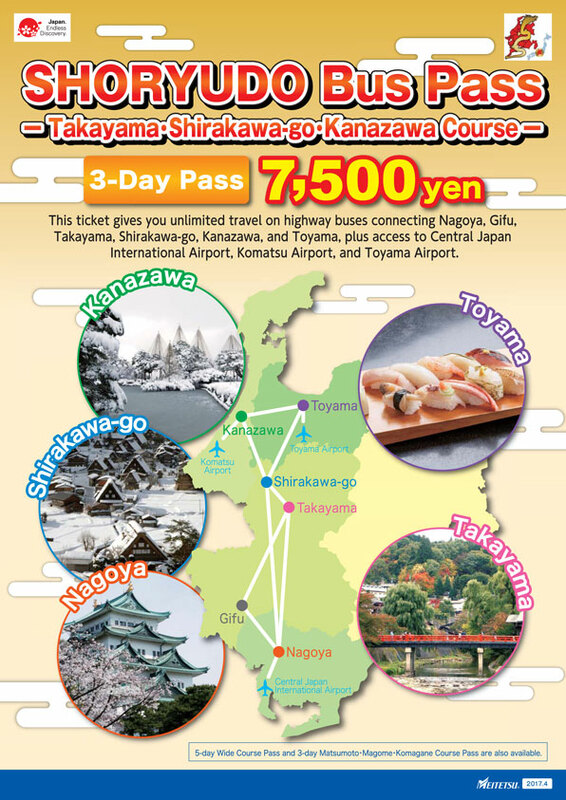 There is 4 kind of transit passes that can cover transportation to Takayama from other cities. 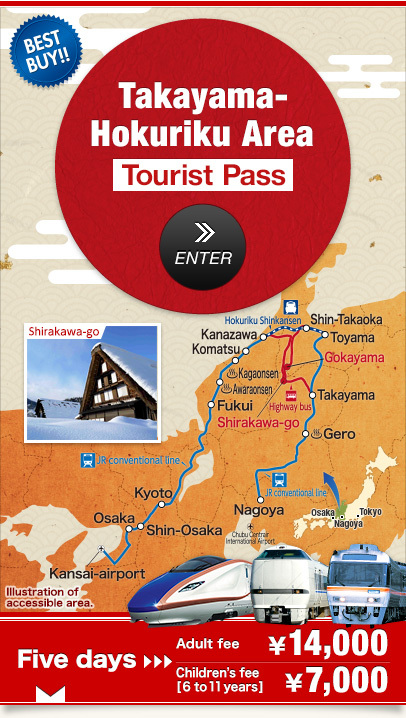 The Takayama Hokurisu Area Tourist Pass covers trains between Osaka, Kyoto, Nagoya, Toyama, Kanazawa, and the bus to Shirakawago. The Alpine-Takayama-Matsumoto Area Tourist Pass covers trains between Nagoya Takayama Toyama Matsumoto. 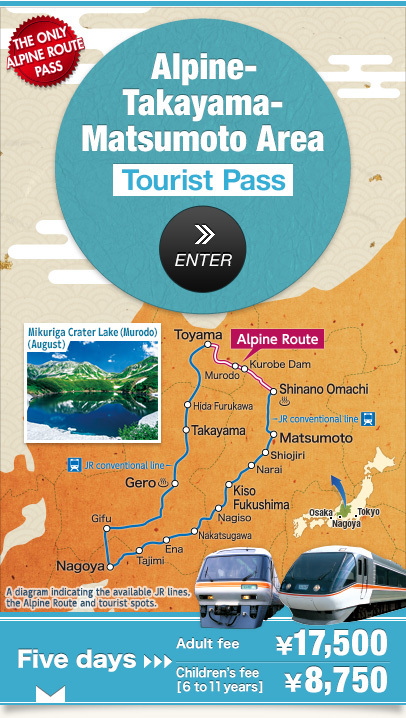 The Shoryudo Bus pass covers the buses between Nagoya Takayama Toyama Kanazawa and Shirakawago. 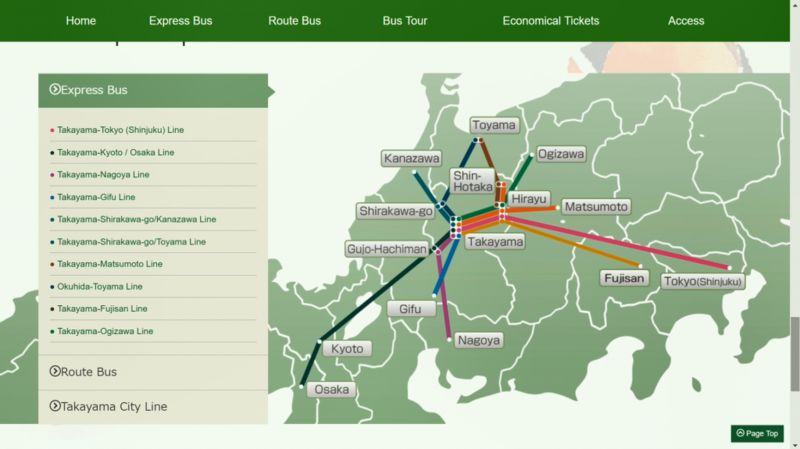 And the JR Pass covers pretty much all the trains but not the bus routes. 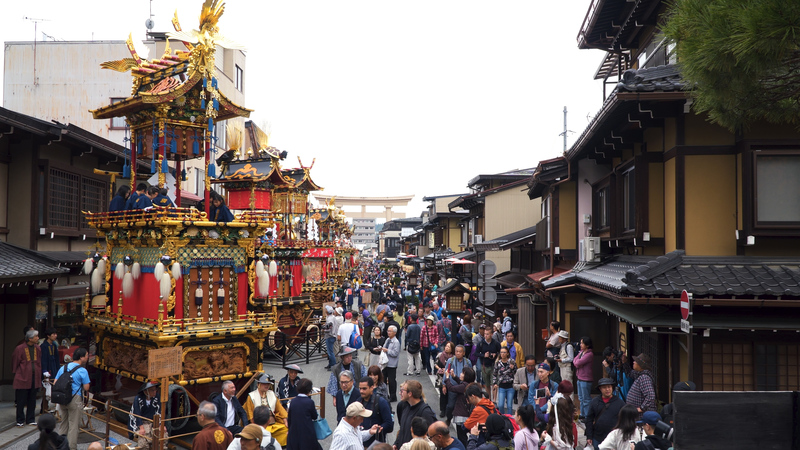 Takayama’s old town is a historical area that is beautifully preserved and is the biggest attraction of the city. 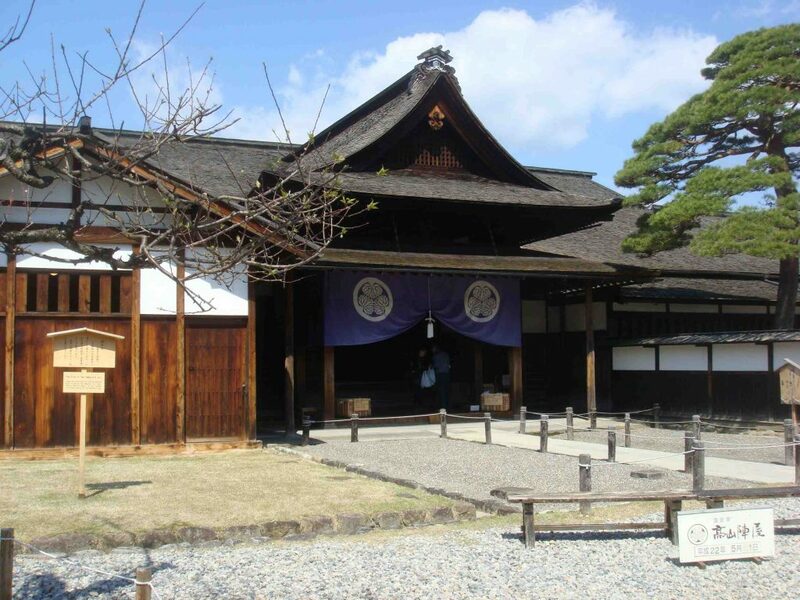 Takayama Jinya, that served as the local government office in 18 centuries. Higashiyama waling offers a pleasant trail consisting of Shiroyama Park, Kitayama Park, and Higashiyama Temple walk. 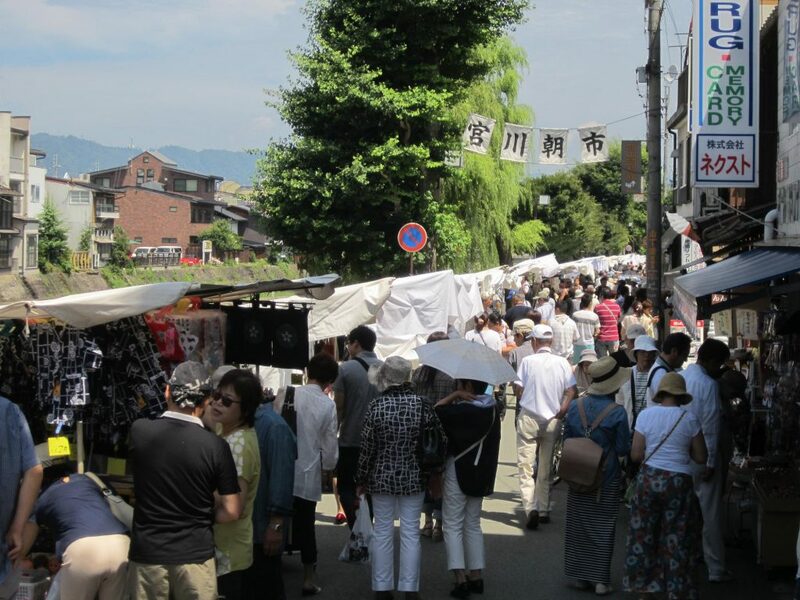 Asaichi is the name of two-morning markets held in Takayama. They sell local specialties on a daily basis in the mornings. 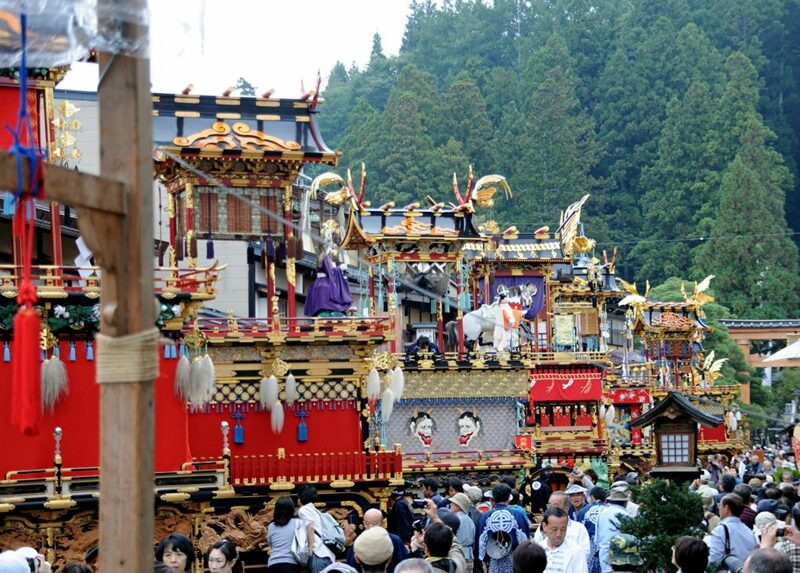 Takayama Festival is one of the three best parade float festivals of Japan. It’s held in April and in October. Two most famous local cuisine of Takayama is Hida beef and Takayama Ramen. 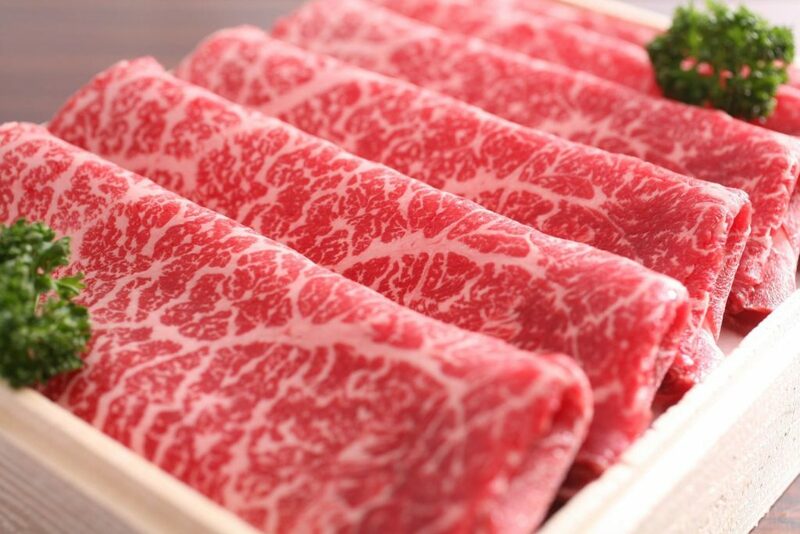 Hida Beef is the name black-haired Japanese cattle that have been raised in Gifu Prefecture for at least 14 months. 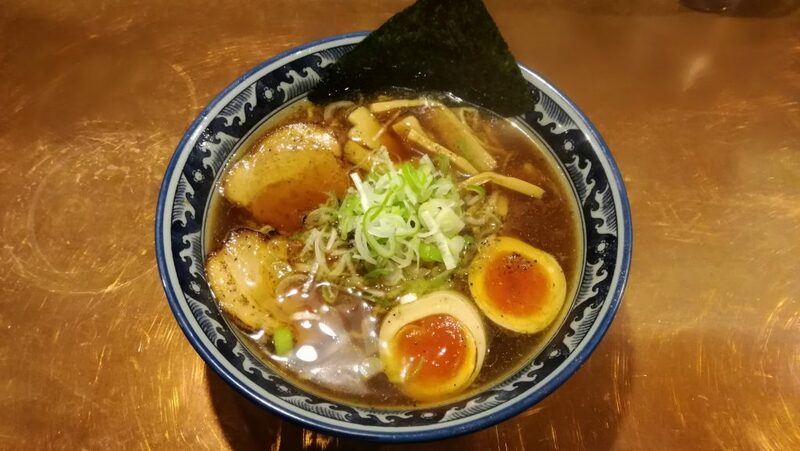 And Takayama ramen is characterized as its light taste soy-sauce based soup and wavy noodles. They are both amazingly tasty. I have posted my personal recommended restaurants on this website. And I will keep it updated, so be sure to check it out! Shirakawago is a small village best known for its unique style houses. 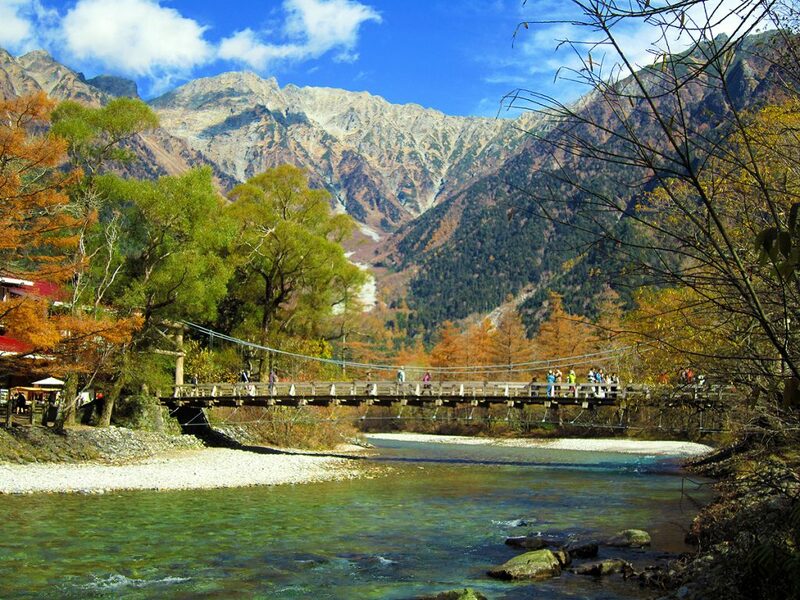 Kamikochi offers a pleasant hiking trail with a mountainous scenery and undeveloped nature. 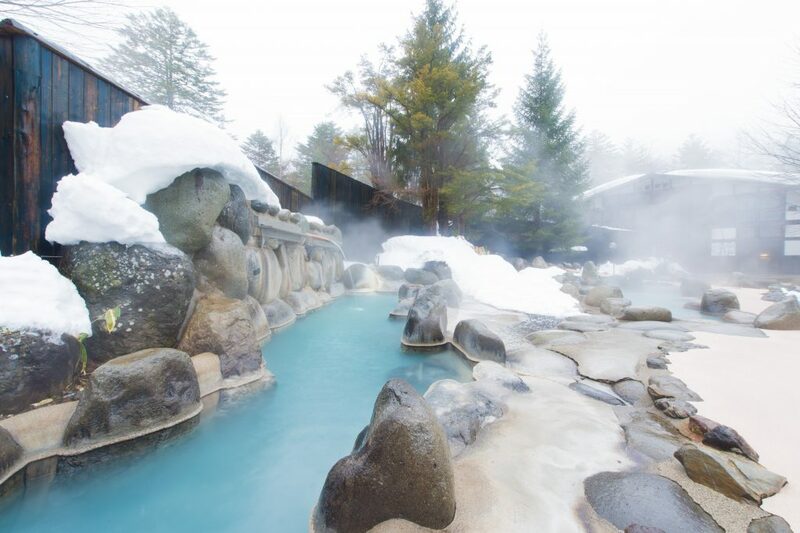 There are 5 Onsen towns in Okuhida region, the east of Takayama, one of which Hirayu Onsen town that is the oldest and largest. 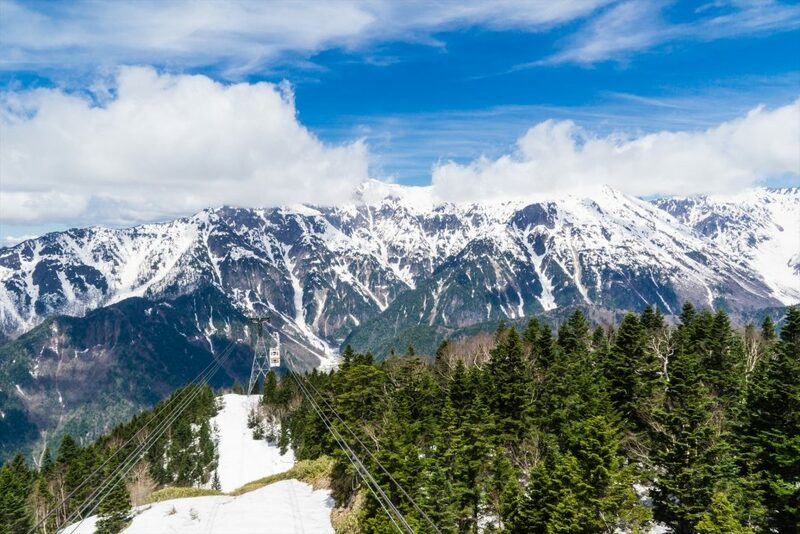 Shinhotaka offers a ropeway ride that climbs over 1000 meters up, and the magnificent views from the top. 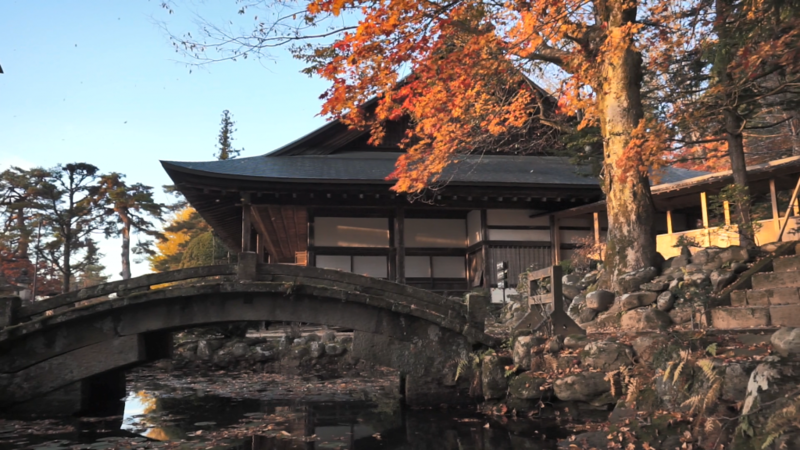 Finally, let me give you a few tips to enjoy Takayama fully. Firstly, stores and restaurants tend to close early, and usually have closing days. So be sure to check their opening schedule before visiting. Secondly, you should at least stay for 3 days. 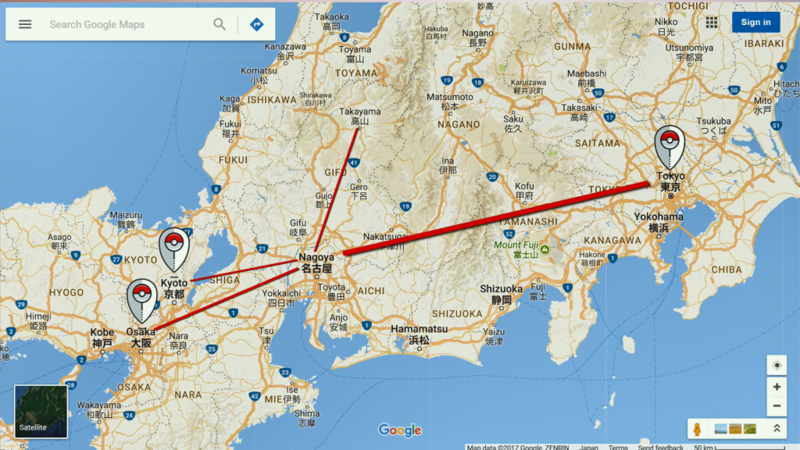 People think 2 days are enough to see the Takayama, but with my advice and information, you will need 3 days, trust me. For instance, if spend 2 days to explore the city and another day to have a day trip, it is already 3 days, volla! Lastly, just stroll the city. Like I said earlier, Takayama is beautifully preserved, and you can’t get tired of walking the old town, biking along the river, watching views from hilltops. The whole town is one big attraction, so let’s make the most of it. Now that I live in Takayama, I will keep posting information and recommendation on this website. And If you like to stay at Airbnb, you can stay at mine! 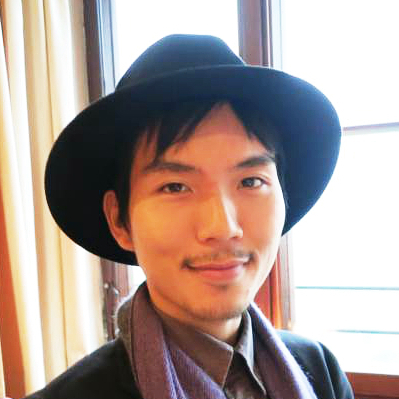 Okay, I am Yusuke Nasu and thank you for reading Japanesquest. Arigato!